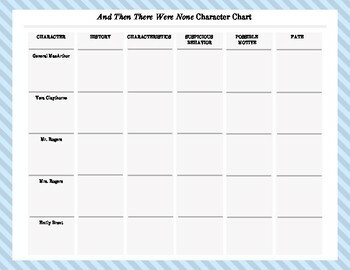 This character chart is incredibly useful for a during reading activity as And Then There Were None has multiple characters. Especially at the beginning, students can get confused as to who is who. 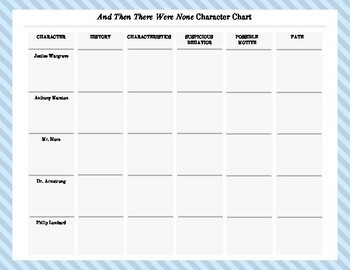 This graphic organizer helps them slow down and track each character throughout the novel. I often allow them the use of this chart when they take reading quizzes.